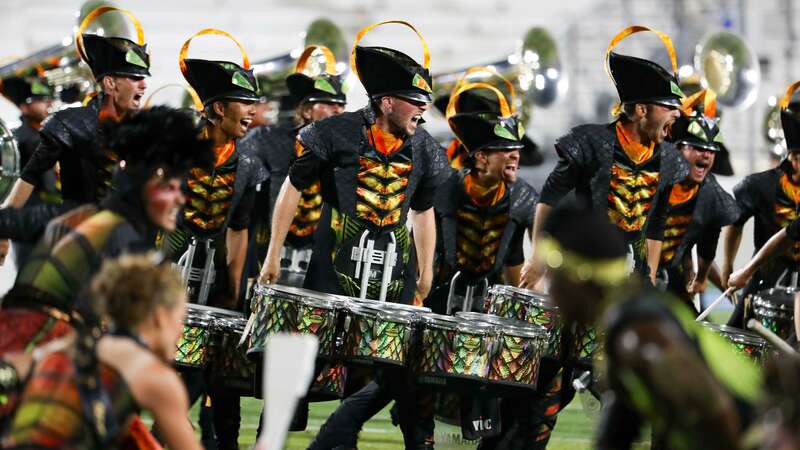 MURFREESBORO, Tenn. — Santa Clara Vanguard extended its win streak to 16 events and regained a lead of more than a point at The Masters of the Summer Music Games presented by Jupiter, Mapex and Majestic Friday night. Energized by a brand-new ending to its program, “Babylon,” Vanguard (1st, 93.450) earned first-place marks in general effect, total music, total visual, color guard and percussion. While the gap between Vanguard and its next two competitors grew at Friday’s event, second and third place were once again airtight. 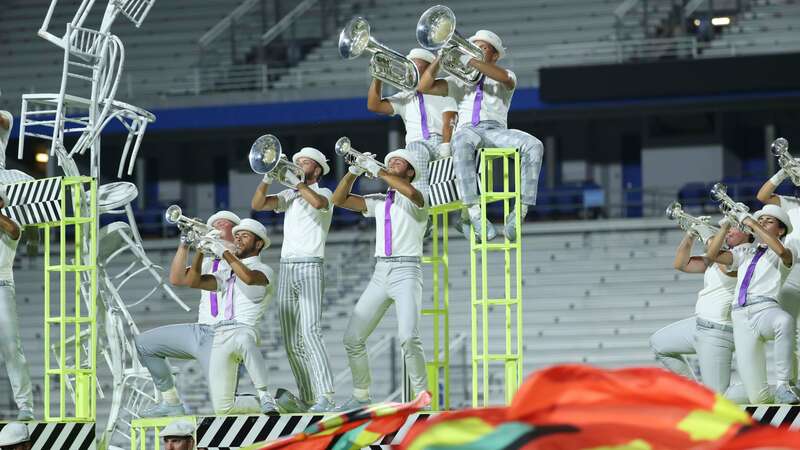 After being separated by just .025 points Monday in Mesquite, Texas, Blue Devils (2nd, 92.400) and Bluecoats (3rd, 92.300) continued their neck-and-neck race. The Concord corps found its advantage in the visual captions and percussion, but fell to its competitor from Canton in general effect and brass. 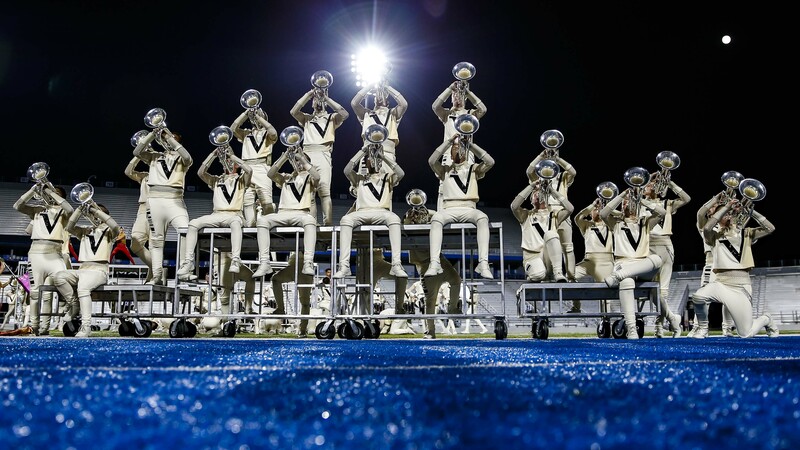 While the Blue Devils have won all but one head-to-head meeting between the two, the Bluecoats haven’t trailed by more than three tenths of a point in the past two weeks. Carolina Crown (4th, 91.000) — which also made updates to the final movement of its program, “Beast” — remained within striking distance of the top three. Thanks to a win in the brass caption and a second-place percussion score, Crown took a very close second in total music. Competition between The Cavaliers (5th, 89.325) and Boston Crusaders (6th, 89.050) remained close Friday night. Despite ties in general effect and total music, a lead in total visual allowed the Green Machine to gain a little bit of breathing room over Boston from its lead of just 0.163 in San Antonio. The Cadets (7th, 86.550) kept Blue Knights (8th, 84.675) at arm’s length, building upon their lead of more than a point and a half from San Antonio. Even so, Blue Knights drum major Daniel Belcher said his corps is feeling confident entering tomorrow’s major regional event in Atlanta. Coming off of three days of rehearsal and a strong showing Thursday in Birmingham, the Denver corps defeated its opponent from Allentown in visual analysis and came dangerously close to doing the same in percussion. Rounding out the lineup, Music City (9th, 73.000) shined in front of a hometown crowd. 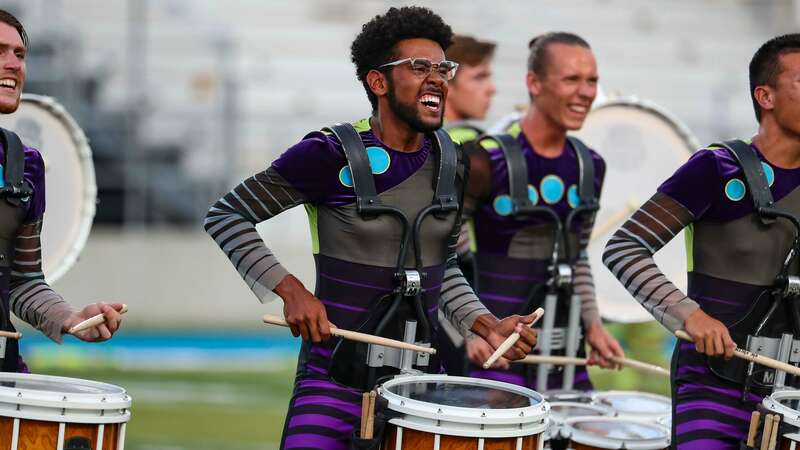 With its result in Murfreesboro, Music City continues to build upon its strong debut season as a World Class corps, with about three points separating the Nashville corps from its all-time record of 76.213, set near the end of last season. All nine corps from Friday’s event will be headed to Atlanta for the highly-anticipated DCI Southeastern Championship presented by Lone Star Percussion at Mercedes-Benz Stadium.